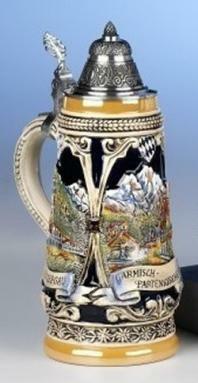 This limited edition piece is limited to 5,000 pieces worldwide. The handpainted relief shows scenes from the the Schwarzwald (Black Forest) including Baden Baden, Mummelsee, Friudenstadt, Triberg, Freiburg, and Titisee. 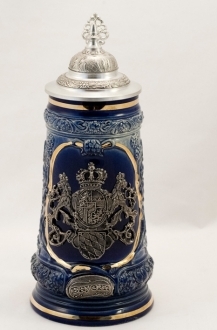 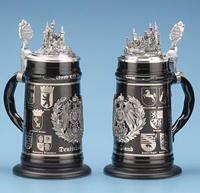 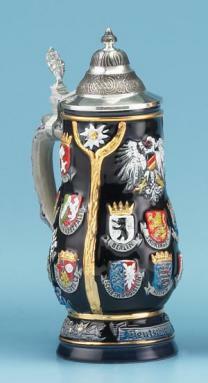 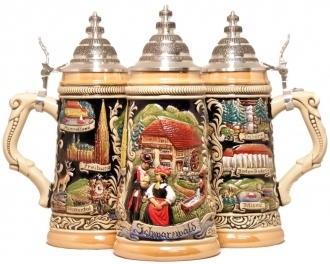 This 1/2 liter stein is about 9.75 inches tall.